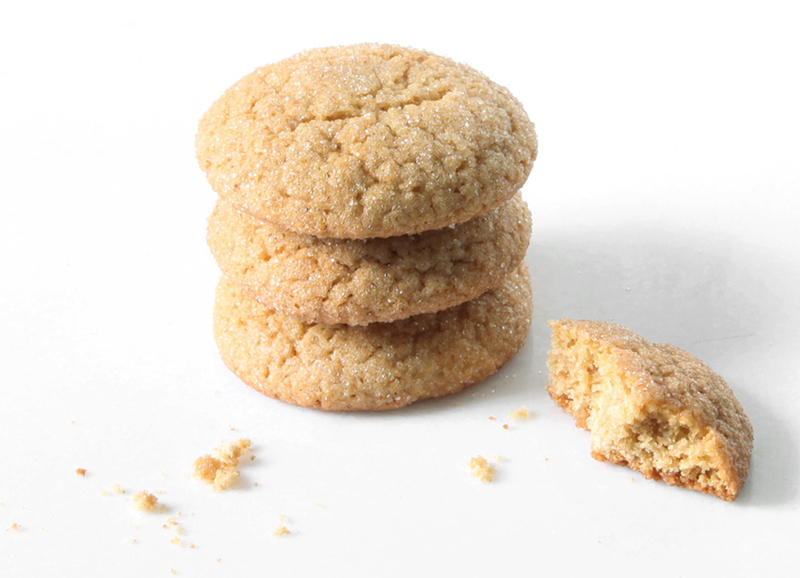 A lighter variation on the traditional molasses cookie, this version uses cider syrup but doesn’t skimp on the spice. 1. In a small mixing bowl, cream sugar and butter with an electric mixer until light and fluffy. Add egg and beat until incorporated. Do the same with cider syrup. 2. In a large bowl, combine dry ingredients. Pour butter mixture into dry ingredients, beating at low speed until fully incorporated. Alternately, use a wooden spoon to mix dough. 3. Scrape dough off sides of bowl, cover with plastic wrap, and refrigerate for at least 1 hour. 4. 30 minutes before baking, preheat oven to 375˚F. 5. Line baking sheet with parchment paper. Fill a small bowl with about 4 tablespoons of sugar. Form chilled dough into walnut-sized balls. Roll in sugar and place on prepared baking sheet, spacing about 1 1/2 inches apart. 6. Bake cookies for 15 minutes, until top is crackled slightly and edges just begin to brown. Transfer cookies to a cooling rack and allow to cool. Once cool, cookies can be stored in an airtight container for up to 5 days. cook’s note: You can also make your own boiled cider at home. Click here for the recipe.